James (Joe) paid the fine then headed to the Pier Hotel across the square where he began consuming whiskies and telling anyone within earshot what had happened and that he would later fix things. Coleman then made his way to his home in Reid Street, a small lane off High Street. On entering, he told his wife that she would soon be a widow as he was going to shoot himself. His wife already knew about his scrape with the law as she had earlier met Mr Hicks, a Justice of the Peace, who had fined Coleman. Hicks had said “Try and take him home.” but of course she could not at that time. Coleman then took out his old muzzle-loading rifle and started to load it. His wife tried to prevent him and a struggle ensued. In the struggle she managed to wrest the ramrod from him. Coleman pushed her aside and went out into the street. He knew that it was Constable Ring’s practice to meet the last two trains from the City to Glenelg, at Millers Corner, which was the junction of Jetty Road and Partridge Street and Rudolph Street (now Gordon Street). Coleman knew that Constable Ring would be standing outside the Terminus Hotel at 11.00pm. He proceeded to walk up and down the footpath in an agitated state. Mr Ranford, who was acquainted with Coleman; asked him what was wrong. Charles Ranford tried to talk him into going home, but Coleman would not listen. The last train was just crossing Brighton Road and entering Jetty Road at a few minutes past midnight. Coleman stepped out into the road. Constable Ring saw Coleman and he also stepped out into the road. Coleman’s answer was not heard due to the noise from the approaching train. “You had better go home Joe.” Constable Ring saw that the train was nearly up to where they both stood. Constable Ring said, ”Look out, Joe!” to try and distract him. At that instant Coleman raised the rifle to waist high and fired. Constable Ring staggered back and fell to the ground. He then raised himself to a standing position then fell forward, lifeless. A Mr McCaffrey who witnessed the incident turned and ran to the police station in Mosely Square. Meanwhile, in the excitement, Coleman started running from the scene, down Partridge Street and into High Street, not to his home but in the direction of Mosely Square. Mr McCaffrey, on reaching the police station, found it unattended. He then informed the Glenelg Station Master what had happened and asked him to contact the Adelaide Police. By this time, Coleman was opposite the police station knocking on the door of the Pier Hotel with the intention of obtaining a drink. The manager came to the door and told him to go away. Coleman began pacing up and down the footpath. They both sat down on a seat and spoke briefly. Mr Ross then left and headed towards the police station. Coleman started walking towards the jetty and, on reaching a point half-way along, threw the rifle and powder flask into the sea. He then disappeared into the night. The City police arrived on the scene a little later and began interviewing witnesses. A search was organised and the police began searching the side streets and along the jetty, but Coleman was not to be found. The police then placed men on surveillance at Coleman’s house in case he returned that night. In fact, it would be several weeks before Coleman was apprehended. The shooting had occurred at a few minutes past 12 on the Saturday night. On the Monday afternoon, the Coroner, doctor Ramsay Smith held an inquest into the death at the Glenelg Town Hall. William Fitzgerald, foot constable, stated that he identified the body of Constable Ring and that he last saw him alive at 11.00pm on the Saturday evening. At approximately 12.05am he heard a gunshot report from the direction of Millers Corner so he hurried towards the scene. On reaching it he saw constable Ring lying on the ground. The constable then began enquiring into what had happened. Ring’s body was then removed to the morgue. Constable Fitzgerald said he then went back to the station to get a revolver and on doing so he then set about looking for Coleman. The Coroner said he thought it would be difficult to find a case in which there was less conflict of evidence than in the present one. The facts seemed to be clear as regards to Coleman’s actions in the death of Constable Ring. The Coroner, Mr Ramsay Smith, then went on to say there were two things which demanded some remarks because of two unsatisfactory circumstances. If they had not existed then the life of the deceased may not have been taken. The first was the question of the police being able to defend themselves. The function of the police was to prevent crimes and to see that the peace was kept. A policeman could not do that if he were dead. If he was expected to do his duty, then he should have the means of protecting himself and the lives of others. The evidence was quite clear that Constable Ring knew of Coleman’s intentions with the rifle and was taking steps to get the gun from him. If Ring had been armed then the affair might have taken a different turn. Mr Ramsay Smith said he was quite aware of all the objections that were brought forward against entrusting police constables with firearms but if a man was not fit to be entrusted with firearms then he was not fit for the police force. That led him to the second point, which was the amount of consideration shown for offenders and criminals. The deceased put himself out by arranging for the offender to have the drunk case heard before the Monday so that the offender could go fishing on the Sunday morning. It would have been better to keep him locked up until the Monday morning and then brought into the Court. After hearing further remarks, the Coroner said there was a case for indictment of wilful murder by a man known as Joe Coleman and then issued a warrant for the arrest of Coleman. The next day, Tuesday, the body of Constable Ring was conveyed to the Payneham Cemetery. It was estimated that at least 10,000 people saw the procession as it went between Glenelg and Payneham. Shutters were up on premises and flags were half mast along the route. The funeral left Glenelg at 1.30pm and on arrival at West Terrace, the procession was joined by 100 foot police and 20 mounted troopers. The cortege then went via Sturt Street, then to Gouger Street and into Wakefield Street. There, outside the Fire Station, the firemen were all lined up as a guard of honour. In the procession was the Chief Secretary and the Police Commissioner, Colonel Madley. As the cortege passed Queen Victoria’s statue, the Mayor of Adelaide stood with Aldermen and Councillors. The cortege then went down Hutt Street to the Botanical Gardens gate where the cortege disbanded, the hearse moved on towards the cemetery. Foot police and mourners then boarded the special trams to take them to the cemetery where the service commenced at 5.00pm. The service was conducted by Reverend George Raynor of the Glenelg Congregational Church. The police band played solemn music, one item being “Go bury thy sorrow”. Meanwhile, Coleman was still at large. The police had been searching the fishing boats, believing that Coleman might try to sail to Kangaroo Island where he did most of his fishing and consequently knew the Island very well. A search was made of the sand hills on the north shore and along the sand hills towards Brighton. Sightings were reported to police during the week that he had been seen in the Reynella and Morphett Vale areas. Police parties began scouring the district making the Crown Hotel their nightly sleeping quarters. A Mr Forsyth of Morphett Vale reported that a man called at his house asking directions and seeking water. He told police he was sure it was Coleman whom he had known at Glenelg 25 years ago. Many of the sightings of Coleman during the previous two weeks proved to be true. He had been seen at a distance quite often, but by the time the police were contacted he had moved on. One woman had said that one morning she saw Coleman filling a can at her rainwater tank. The chase was well attended by newspaper reporters from the City papers. Reporters often shared rooms with the policemen and accompanied them in their search for the fugitive. One morning, two weeks after Coleman’s flight, the police formed a large ”dragline” of searchers starting from the foothills at O’Halloran Hill and stretching as far as Brighton. The line advanced north towards the Bay Road. Detective Nettle and Constable Deacon were walking along the Sturt Creek near the Bridge on Morphett Road when they came across a swag on the bank of the creek. About 50 yards away they saw a man reclining on the bank looking in the opposite direction to them. They quickly walked up to him. Coleman replied ”Yes” then changed his answer to ”No”. The detective told him to roll up his trousers above the right knee and saw the name J.A. Coleman tattooed on it. They then inspected his swag and in it found several fowls. The police then took Coleman to Mrs Coles’ house on the Bay Road and rang the city office advising that Coleman was in custody. Coleman was then transported to the City watch house where he was cleaned up and given fresh clothing. He had been on the run for two weeks and was in bad condition. Coleman said he had been reading about the police search in the newspapers. While being washed at the watch house, a small cut was found on his left arm. Coleman said that he cut himself whilst carving his initials on a tree on the banks of the creek and that he had hoped he would bleed to death. June 1908; James Albert Coleman stood in the dock at the Criminal Court before Mr Justice Homburg, charged with having wilfully murdered Constable Albert Edward Ring at Glenelg on March 29th. Asked how did he plead, he replied ”Not guilty”. The Crown Prosecutor, Mr C.J. Dashwood, then opened the case for the Jury. Mr C. Muirhead and Mr H. Solomon appeared for Coleman. The court was told that Coleman was arrested by Constable Ring on the Saturday at 2.30pm on the 29th of March. At 9.00pm Coleman was taken before the Justice of the Peace Mr W.M. Hicks and fined five shillings. He was brought before the court that night out of consideration so that he could leave in his fishing boat the next morning. The Crown produced a diary kept by Coleman and several extracts were read to the court; one that he had been as far as Aldinga in his flight and the other that he had no sorrow for Ring. Witnesses for the defendant said that Coleman was a solid citizen and was never in trouble with anyone. The Justice of the Peace who had fined Coleman said he had spoken to Coleman later that evening before the shooting and had told him to go home with Mrs Coleman who was there outside the Pier Hotel. Other Crown witnesses were put on the stand to tell their version of the night’s events. The Judge asked a witness if he thought the accused was insane? The Crown was told that the rifle was recovered on the 31st of March and that on April 6th the powder flask. Both were recovered from where they had been thrown from the Jetty into the sea by the accused. The Crown Solicitor in his address said there were only two excuses; there could be no justification raised for the committal of the fatal deed. One was that the shooting was accidental, and the other that the accused did not know what he was doing. Drunkenness was only an excuse. The accused said he was going to shoot Ring and he did. The defence brought in Sir James Boucaut as a character witness. Sir James told the court that Coleman had often worked on his boat and that he had never seen the accused in an intoxicated state and had never had any trouble with him. The Judge in his summing up of the case mentioned the diary extract that said “I have no sorrow for Ring,” and that he deliberately set out to shoot Constable Ring and had done so. The Jury was retired, returning within 30 minutes with a verdict of Guilty. The accused did not flinch when the sentence was pronounced and, as he was being taken from the dock, turned to the gallery and waved his hat. Joe Coleman’s execution was set for 28 days from the day of sentence. Appeals were submitted by his solicitors during this time, but the authorities were unyielding. The law was taking its course. During this period, a rally against the execution was organised. Several thousand people assembled at Queen Victoria’s statue in Victoria Square. Speeches were made that a new trial should be held or Coleman given a reprieve from hanging. Rallies and demonstrations were also held at the Grote Street fish market and outside the Advertiser newspaper office. 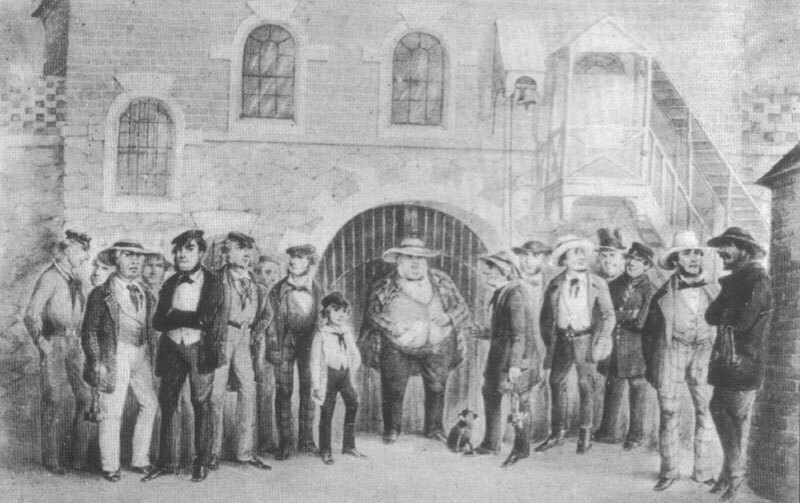 One night a deputation of 300 people waited outside the Conservatorium on North Terrace for the acting Premier, Mr Kirkpatrick, to emerge, in the hope they could present a resolution adopted by the crowd at an earlier meeting. Mr Kirkpatrick said he could not alter an Executive Council decision, and that they should present it to the Governor. The crowd reformed at Government House, only to be denied admittance by the police on duty at the gates. It was reported that Coleman, in custody at the Adelaide Gaol, was perfectly resigned to his fate and was quite prepared to face death. Coleman’s wife was a regular visitor. His last meeting with her was on the night before his execution. Coleman was confined to the condemned cell and taken to a small yard for daily exercise. He was watched constantly by warders 24 hours a day. On the evening prior to his execution, communion was given to Coleman and his wife. That evening he was removed from the condemned cell to a cell on the first floor of the New Building at the far southern end of the cell block. Prisoners who had occupied the block until that evening were all placed in various other parts of the old section of the Gaol. Once the door of the cell was closed on Coleman preparations were made on the gallows, which was only a few paces from the cell occupied by the prisoner. He was watched constantly by a warder in an adjoining cell from which had a small section was cut out of the wall for this purpose. Whilst in the cell that evening, Coleman wrote several letters and a statement which he gave to the Reverend W. Clark, the statement to be read after his death. At 7.55am the next morning, Coleman’s arms and wrists were secured to a belt placed around his waist and he was brought out of the cell. Official witnesses to the execution were lined up along the rails just back from the trapdoor. Coleman was placed over the trap, facing south, looking towards the large windows. While the minister read the sermon, Coleman’s feet were strapped together. The rope was then placed on the left side of his neck with the knot placed where the jawbone meets the ear. A hood was placed over his head. The executioner then stepped to an adjacent cell where the lever was situated and, on a signal from the Sheriff that all was ready, the lever was pulled. The body dropped the required distance then came to a sudden halt throwing the head to one side and enabling the spinal column to be separated at the neck. Death was instantaneous. The body was left hanging while the official party adjourned back to the office. After one hour the body was laid out and an Inquest was conducted by the Coroner as to the cause of death of the prisoner. The Coroner, Mr Ramsay Smith questioned the Sheriff extensively on whether the rules in accordance with the law had been carried out. The Sheriff replied that they had. Joe Coleman’s body was then taken for burial along the north east laneway between the inner and outer walls of the Gaol. Coleman’s last statement that he had given to the minister was read. At 8.00am on the morning of the execution, fish vendors at the city market closed their doors for five minutes and the gas lights were dimmed in respect for a fellow fisherman. 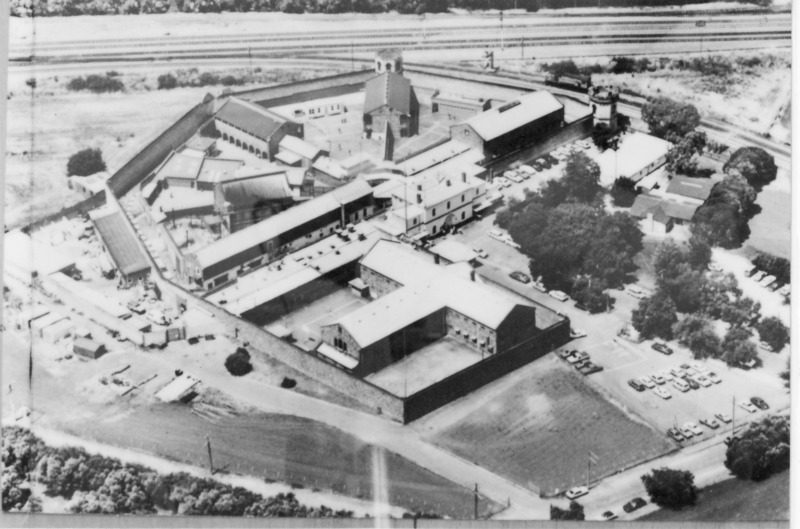 After Coleman’s execution, newspaper reporters were denied admission to any future executions in the State. This came about in a letter to the newspapers in 1909 from the Sheriff’s department. At future executions only officials, police and Justices of the Peace were to be admitted. Members of the press were only permitted to attend the Inquest. Constable Ring left a wife and a young child. He is buried alone, due to the Coroner raising serious questions as to why policemen were often not carrying a firearm for protection. The Police Department purchased new weapons for distribution throughout the force when it was found that only one revolver was kept at the Glenelg police station. Coleman was executed at 8.00am on 2 July 1908 and buried in the Gaol in ”Murderer’s Row”.